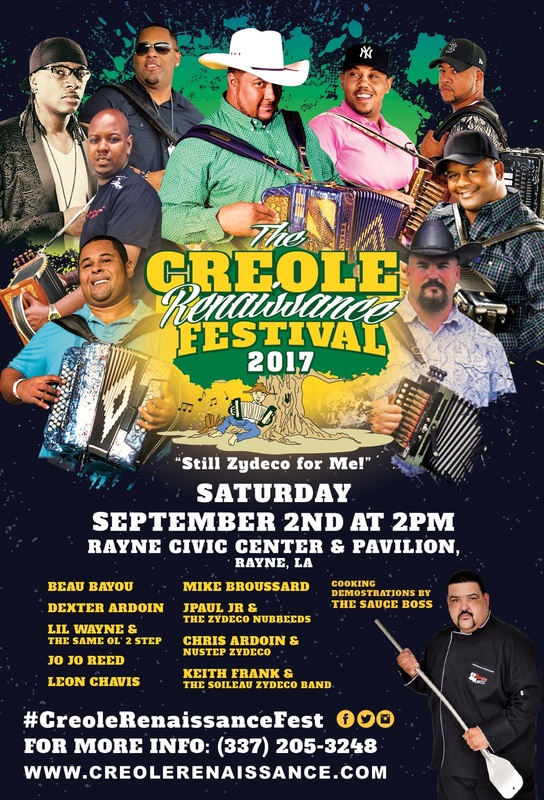 The 2017 Creole Renaissance Festival is a family-friendly celebration of all things Creole: the people, the food, the culture, and the Zydeco music!! The festival is held at the Rayne Civic Center & Pavillion. We will have indoor and outdoor locations and will feature a cooking demonstration from Bryant Fuselier ("Louisiana Sauce Boss"), and musical performances by some of the biggest names in Creole and Zydeco music!